Hi friends! 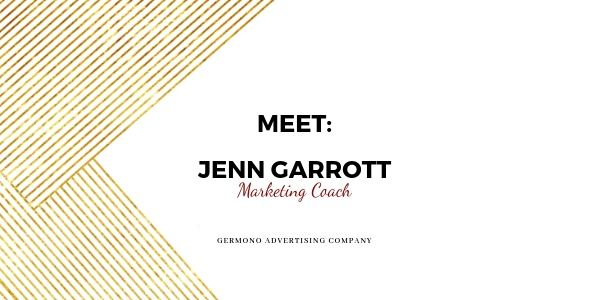 I’ve been an undercover ninja with Germono Advertising Company for quite some time now, but today I’m officially making my mark on the Germono blog! I began my journey into adulthood with a dream of becoming a news anchor (or a ballerina…but that’s neither here nor there). After college, I landed a gig in PR (public relations) and fell in love. I love everything about the industry: relationship building, story-telling, event planning, crisis communication (my personal fave). The list could go on and on. About two years ago, I made a career move to the hospitality industry, which I also absolutely love. What I love most about my new gig is that when a pal (ahem…Lindsey Germono) needed some PR assistance for her agency, I was able to jump in. Who knew the partnership was meant to last? So, here I am, your PR ninja, ready to assist. I currently reside in Virginia Beach, Virginia with my husband Dirk. In my spare time, you can find me relaxing on a beach. It is my happy place. In fact, it was on the beach that Lindsey first asked me to be her ninja (awww…the feels). You can contact me directly at Jennifer@Germono.com!